We will be in Ireland March and April. First week in Dublin through March 18th. I will update the schedule as we book gigs. We are on tour, 35 states this year. We are currently booking our 13th year. Looking to be a good one! 1 show in Scottsdale. More scheduled for our fall dates. 4 shows for the Salina area. We have 2 shows in Topeka. We have 4 shows in the KC area. We have 4 shows in Omaha. We have 9 shows in Des Moines. NE, CO, UT, ID, WA, OR, CA, AZ, NM, TX, OK, LA, and MS. Call us for exact dates we will be in your area. 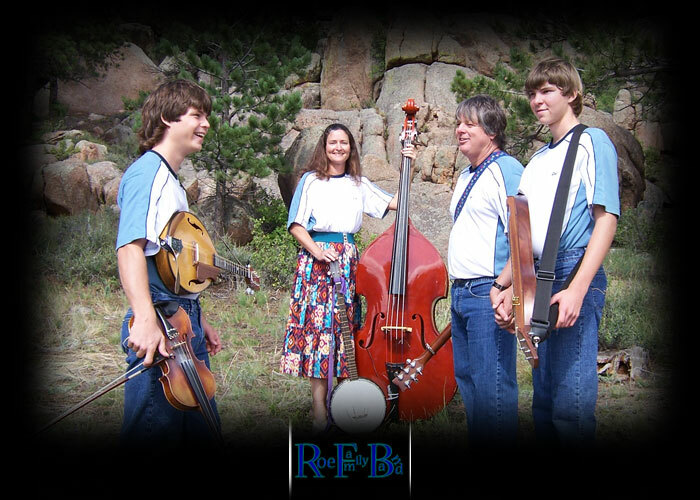 The Roe Family Band will be performing their premier concert at the wonderful SOU Recital Hall. FREE admission. This will be our first time in the Portland area. More details to come. There will be a free will donation to cover costs. We will be uploading our schedule a couple weeks before the start of our tour in April. Our tour is simular to last year's as 90% are having us back. Click on Past Gigs above. Brian will be competing in the guitar competition. He placed third last year in the mandolin competition. Unfortunately there will not be a mandolin competition this year but he looks forward to returning next year for that.